Summer time in New Zealand means lots of fun outdoor activities with your pooch but when the temperature soars, Jim’s Dog Wash has a few tips to keep your dog cool. Plenty of fresh drinking water is a must. 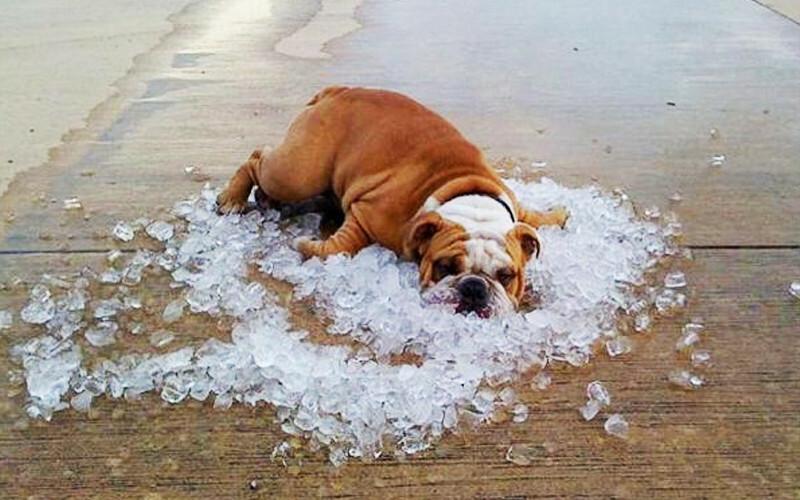 You can even add ice cubes into their water to keep your pooch cool. Make cool treats, help your pooch keep cool from the inside. You can freeze chicken stock, chicken pieces or carrot pieces in an ice cube tray and give them to your dog for an extra special summer time treat. Shade for your dog over the warmer months is very important. Have your dog inside or provide a proper outdoor shelter for them. Be aware of how high temperatures rise in cars. Never leave your dog alone inside of a car during summer. It is best to take your dog for walks either in the early morning or late afternoon when the sun is not too hot. Remember, if it’s too hot for you it will be too hot for your pooch as well. Dogs don’t wear shoes, be aware of this when walking on hot cement or pathways. Be careful not to over exercise your pooch. Constant panting and drooling are both signs that your dog has had more than enough exercise.